Note: The following is modified from Steve Bissette's introduction to the new collection of the comic book PALEO by Jim Lawson. We'll be covering PALEO in the penultimate installment of this column. A genuine dinosaur comic is a rare thing. A true dinosaur comic is something unique, unblemished by human characters. We don’t need no stinking ‘lost world,’ lost island, time machine, or atom-age mutations stomping cities into dust. Forget about RIP HUNTER, TIME MASTER and “The War That Time Forgot” (of STAR-SPANGLED WAR STORIES) or GORGO or KONGA; forget KONA, MONARCH OF MONSTER ISLE and GODZILLA, KING OF THE MONSTERS. Those comics indeed feature dinosaurs, and were great fun, but they weren’t and aren’t dinosaur comics. The precursors were, of course, the dinosaur artists. These were the illustrators and painters who first put pencil, pen, and brush to paper or canvas and fleshed out the fossil reconstructions to create panoramas of what the prehistoric world must have, might have, maybe was like. Prominent among these is the pioneer Charles R. Knight (above), who established the field almost single-handedly in the very early 1900s. Working hand-in-glove with the premiere paleontologists of his day, Knight was the first ‘pop paleo artist,’ if you will. His vivid reconstructions of prehistoric life graced the walls of museums (Chicago’s Field Museum, for instance), the pages of books, periodicals, and journals, and became the standard illustrations for school and home texts like the ENCYCLOPEDIA BRITANNICA and NATIONAL GEOGRAPHIC. Others followed in Knight’s footsteps: Rudolph Zallinger (left) here in the U.S., Zdenak Burian (below) in Czechoslovakia, and many others. Many of you may have grown up in the thrall of William Stout’s marvelous prehistoric creations, or the generation of exquisite paleontological artists who rose to prominence in the 1980s and early ‘90s. 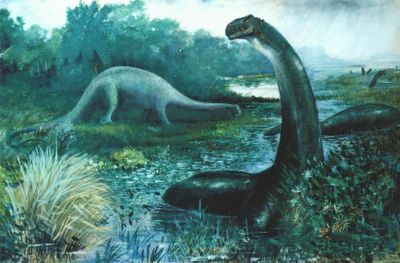 But Knight’s paintings and drawings were the wellspring from which all dinosaur imagery flowed, and countless illustrators and cartoonists have done little more but slavishly copy Knight’s work for generations. The ache, then, for many of us, was the urge to see Knight’s paintings move -- or at least enjoy a fuller life on the page. That urge impelled pioneer stop-motion animator Willis O’Brien to bring dinosaurs to life on the big screen (THE LOST WORLD, 1925; KING KONG, 1933; etc. ), as it moved his teenage successor Ray Harryhausen to labor over his own (never-completed) epic EVOLUTION before graduating to continuing O’Brien’s legacy in films like BEAST FROM 20,000 FATHOMS (1953) and others. The same urge drove Disney Studio cartoon animators to create the memorable “Rites of Spring” sequence for FANTASIA (1940), and cartoonists like Joe Kubert or Ross Andru & Mike Esposito to sneak dinosaurs into every comic book job they could. Thus, Kubert’s GREEN LANTERN and Andru & Esposito’s WONDER WOMAN and STAR-SPANGLED WAR STORIES G.I.’s fought living dinosaurs -- even the Metal Men fought robot dinosaurs! ; but these weren’t dinosaur comics -- they were comics with dinosaurs. The dinosaurs were props, cameo villains, guest-stars; they weren’t the stars of their own stories, as Knight had portrayed them in his evocative tableaus. 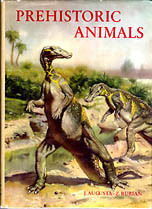 Many of us wanted to just read comics about dinosaurs -- the animals themselves, their lives and times, sans the trappings imposed by quickly formalized fantasy and science-fiction templates. The first place we found them were in the Funny Pages of the newspapers. Next Week: Part 2 - From Alley Oop to The Ancient Great Plains. Steve R. Bissette is an artist, writer and film historian who lives in Vermont. He is noted for, among many things, his long run as illustrator of SWAMP THING for DC Comics in the 1980's and for self-publishing the acclaimed horror anthology TABOO and a 'real' dinosaur comic TYRANT(R). 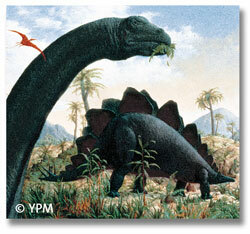 For more information on oddball dinosaur comics check through the archives of Scott Shaws! ODDBALL COMICS by clicking here. Oldest Fossil Bird Found in China? Happy Birthday to Mark Boucher! Happy Birthday to Steve Bissette! Happy Birthday to Albert Einstein! New Human Species Smarter Than The Average Bear?